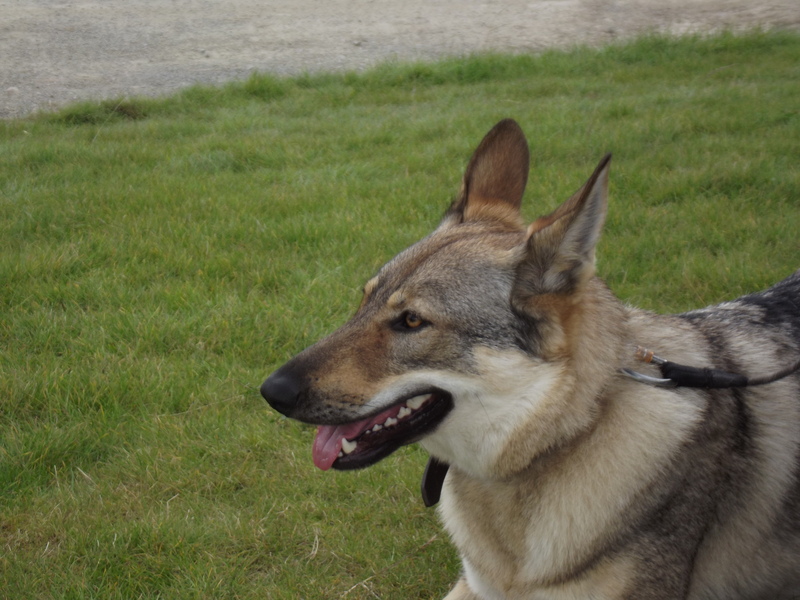 We were anxious initially as we were not sure how Tuchena would react around so many dogs, especially with out our Labs for ‘back-up’ as she has been reactive in the past. 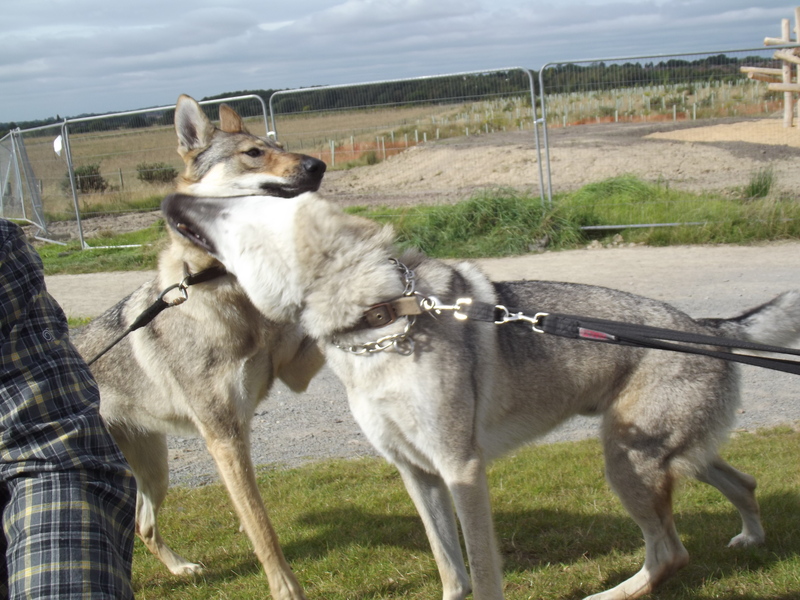 Thankfully at an event like this all of the other dogs and owners are well aware of Wolfdog behaviours so we were at ease in no time. 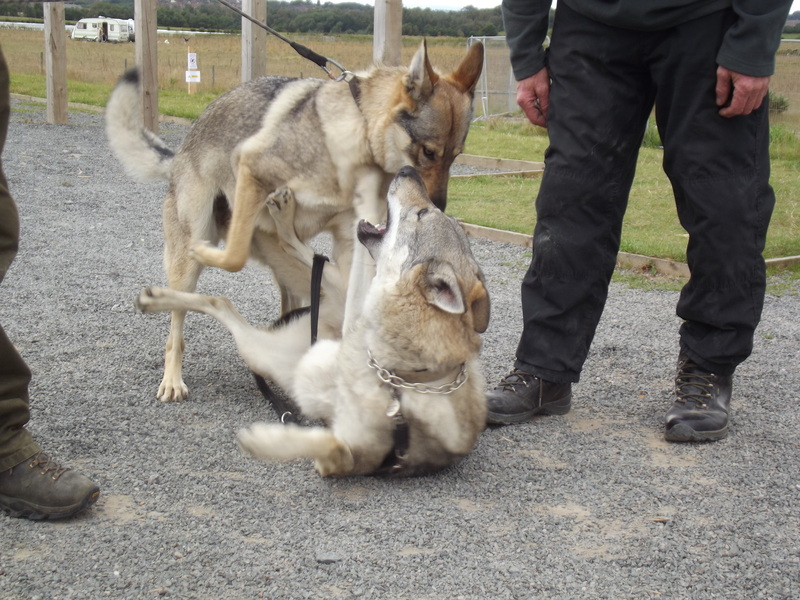 Tuchena did get reactive towards one dog, but not overly so and in general all of the other meetings were positive. 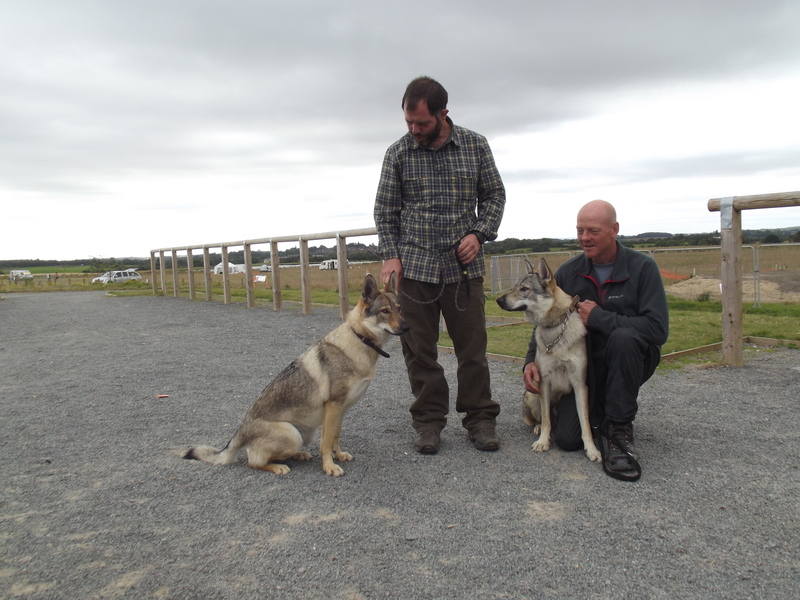 All of the owners were very careful about introducing dogs to one another and lots of questions were asked before dogs got too close. It was great to be amongst like-minded people with similar experiences and expectations. 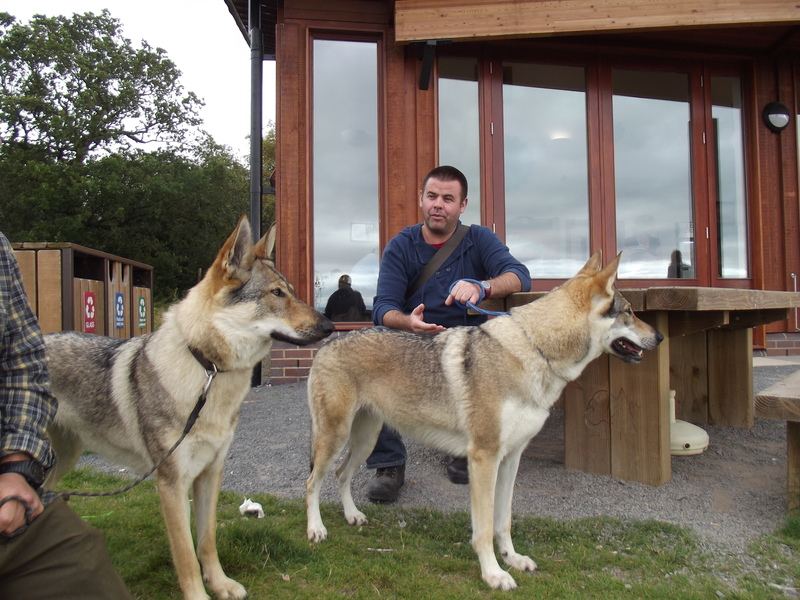 Whilst there we bumped in to Andy and his Wolfdog Hector, who we know from The Wolf Centre . 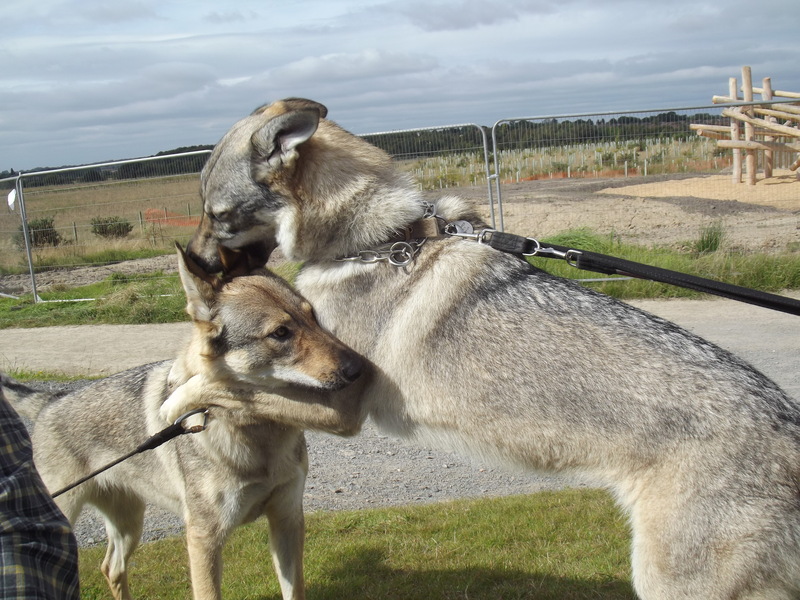 Tuchena had only met Hector briefly once before, but after the initial sniff and greet they got along brilliantly. 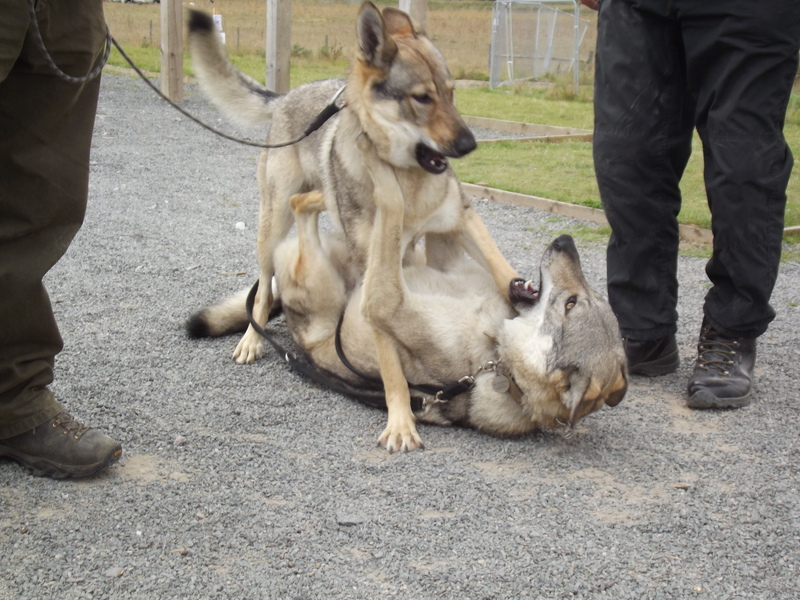 As you can tell from the pictures below, Tuchena was the boss! 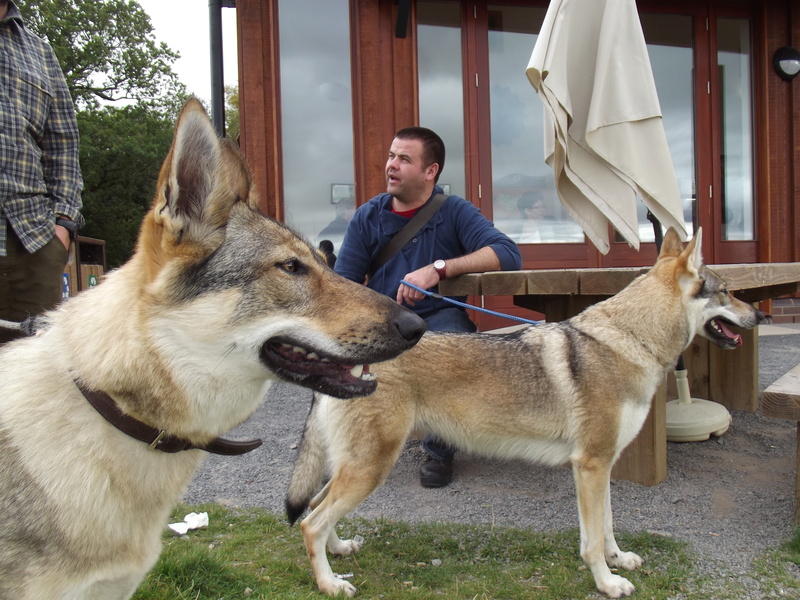 We also spent quite a while chatting to a lovely couple that were there collecting their second Czech Wolfdog, Tala. 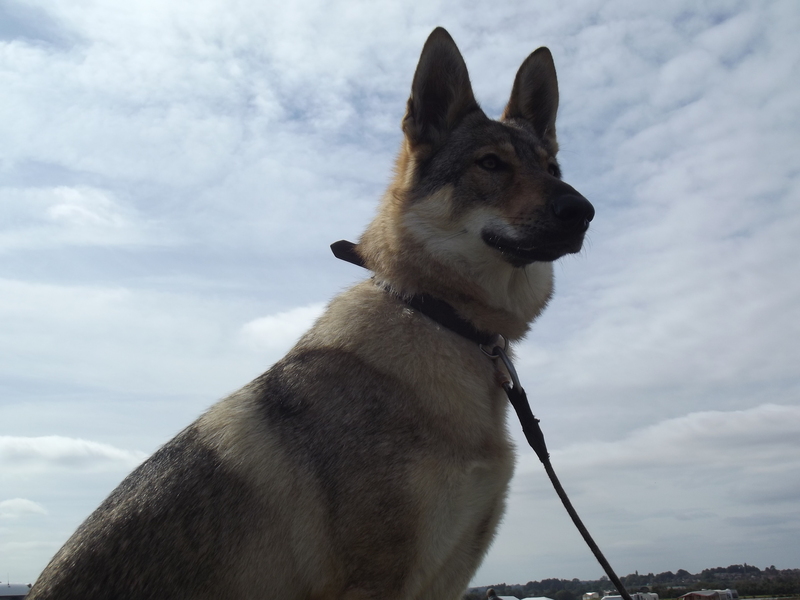 They already have a male at home called Sabre and wanted company for him. I wish I had asked for their contact details as I would love to know the progress and to hear what it is like having two! 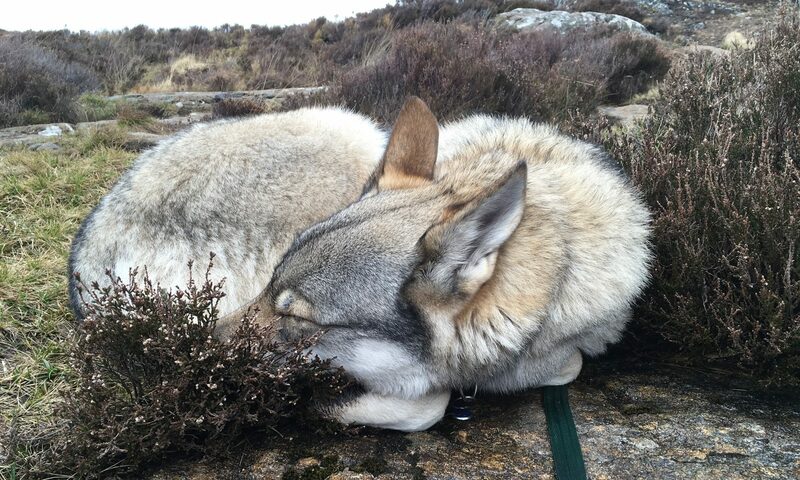 The photos below are of Tala and Tuchena. What a big difference between them and the pictures with Hector. 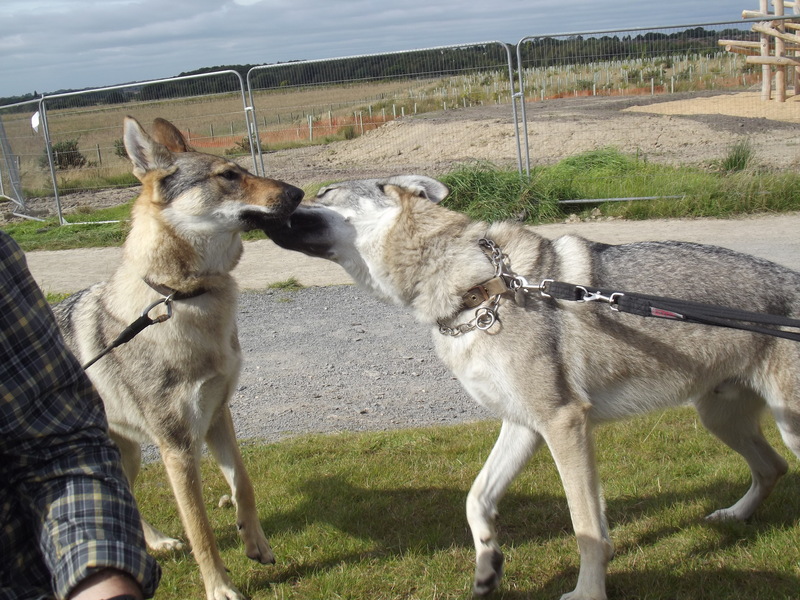 Tala(3yr female) and Tuchena (17 month female) were happy to tolerate each other, but didn’t really interact. 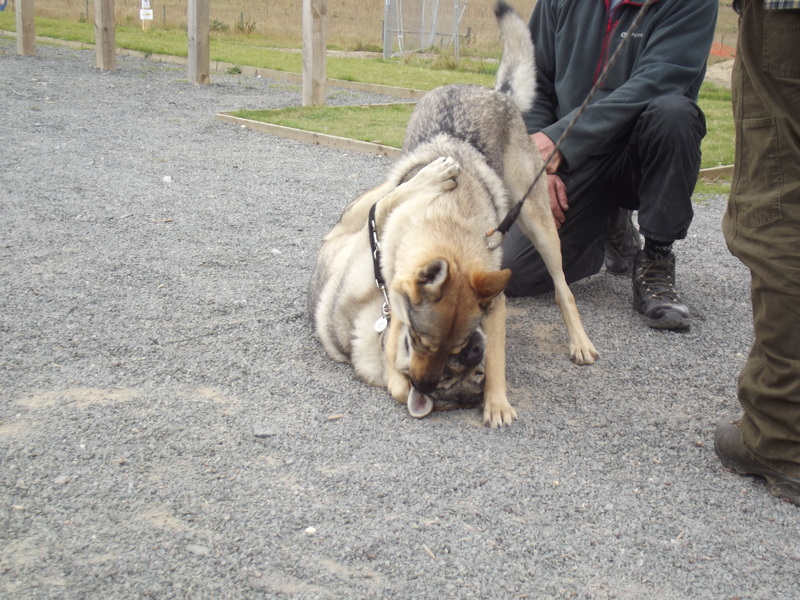 With Hector (20 month male) it was full on play! We are already looking forward to next year and we are contemplating camping so we can enjoy both days of the event. 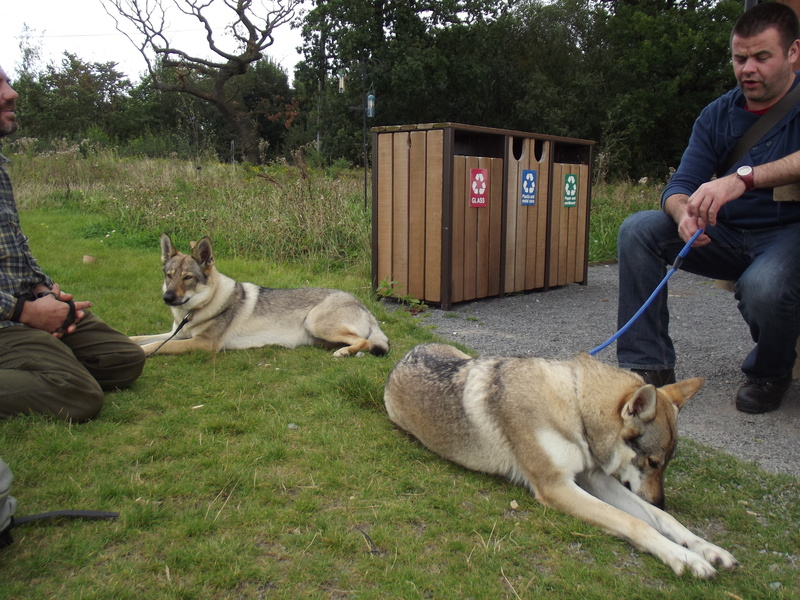 Such gorgeous dogs! Sounds like a successful meet-and-greet. Thanks for sharing these great photos! It was great, thanks Abby! It really was lovely to see so many together!